Rising prices for new cars, and the depreciation hit consumers take when they drive off the lot, are sending more car shoppers to the used car lot. The Wall Street Journal reports demand for used cars was unusually heavy over the summer and cites industry analysts who expect that demand to remain strong for the rest of 2018. 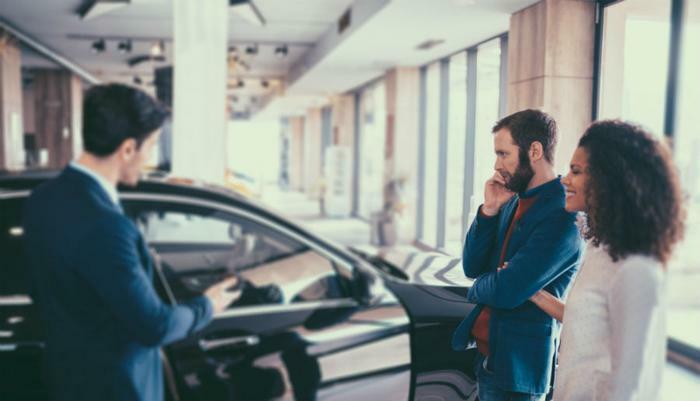 With the average transaction price now around $35,000 for a new vehicle, consumers find they can save about $15,000 by purchasing a three year-old model with low mileage. But not everyone is settling for a used car. Automotive publisher Edmunds reports sales of luxury cars may set a record this year. Edmunds says 1.3 million new luxury vehicles were sold through August, making up 11.4 percent of all new vehicle sales. Edmunds credits an expanding lineup of SUVs for fueling the growth. Sales of luxury SUVs accounted for 62 percent of all luxury vehicle sales. "Luxury SUVs are a winning strategy all around right now," said Jeremy Acevedo, manager of industry analysis at Edmunds. "Car buyers are willing to consider an SUV in pretty much any form they can get them, and the premium price tags SUVs command make for nice profit engines for automakers." But Edmunds analysts also say since all new cars are getting more expensive, it's blurring the line between mainstream and luxury models. The price gap between the two has narrowed from 58 percent to 48 percent in the last 10 years. The Edmunds research found consumers who purchase a Jaguar, Porsche, BMW, or Audi usually only consider buying a luxury car. Lincoln, Volvo and Acura shoppers are most likely to consider a mainstream brand as well. According to Kelley Blue Book (KBB), the average transaction price for a luxury compact SUV in August was $45,139. But the average cost of a full-size luxury SUV was nearly double, at $87,112.